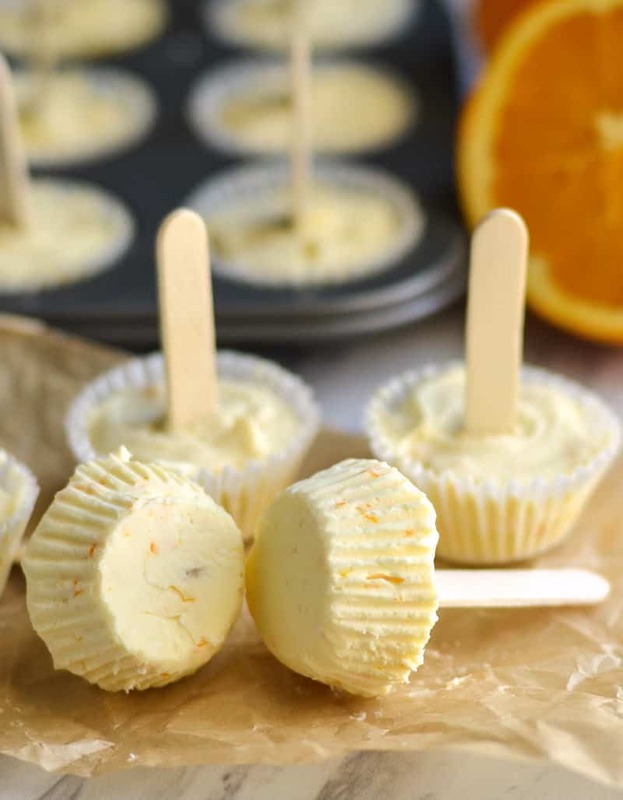 These homemade orange fat bombs taste like creamy cheesecake! They curb appetite, promote weight-loss, and are perfect for keto and paleo diets. 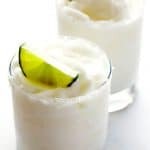 When you hear “fat bombs” you might be thinking of something that’s going to turn your rear end into the size of a big rig. When I first heard the term, that’s what I thought! 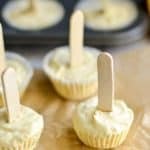 Fat bombs, also known as keto fat bombs, can actually help whittle your waistline as opposed to making it larger. 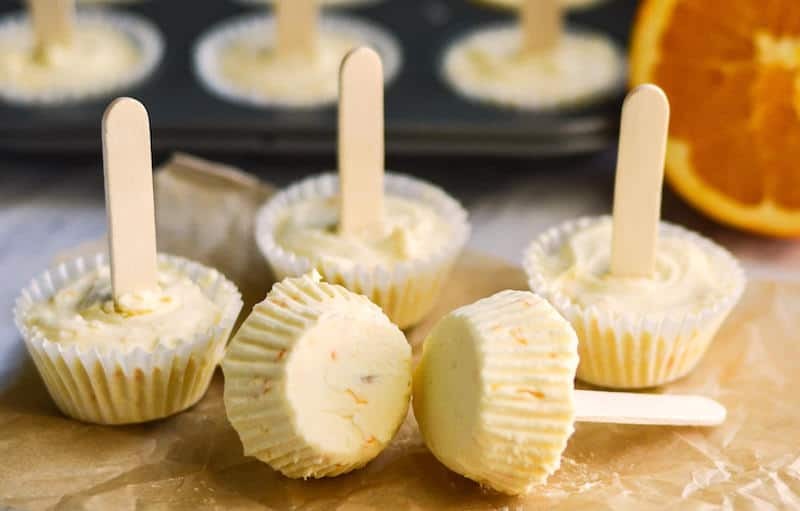 These delicious orange cheesecake fat bombs are going to fill you up – and that’s how the “fat” in these type of bombs works. You’re eating the good types of fats (as opposed to trans) that promote satiety. A fat bomb is very much like an energy ball or bite (you’ve seen those before), but instead of carbs and sugar, the focus is on fat. Fats take longer to break down in your system, and keep you full . . . so fat bomb recipes can actually stop you from snacking! (read more about the benefits here). 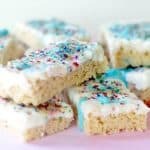 Basically fat bombs keep you full and are a delicious treat . . . and that’s why I love them. 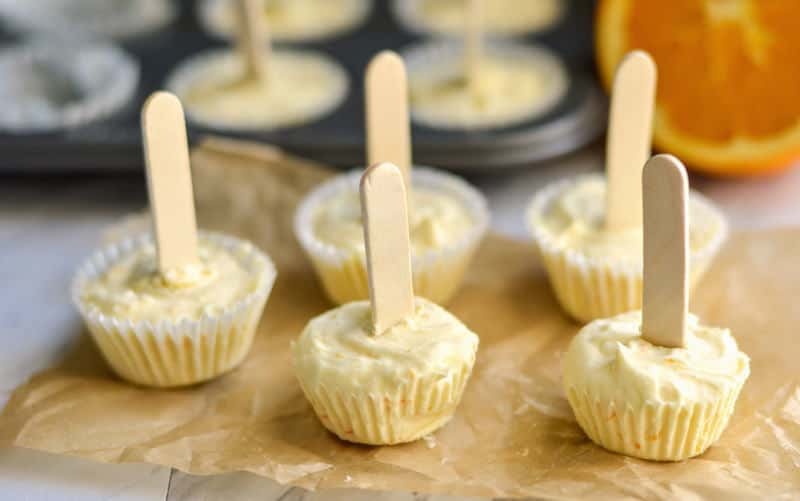 There are all sorts of fat bomb recipes out there, but this one is for orange cheesecake fat bombs. That means they are creamy like cheesecake (yum!) and have a hint of orange. You’re going to LOVE the flavor and consistency of these orange fat bombs. 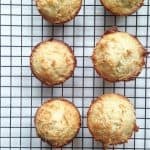 They are a perfect for the keto diet, adrenal fatigue, or even the paleo diet (depending on if you allow cream cheese and negligible orange juice). No trans fats and low carb! You’ll want to choose a sweetener for this recipe. There are a few options but these are the most common used in fat bomb recipes. I actually use Truvia as a sweetener because according to some research I did, it’s better for blood sugar vs Stevia. Honestly I’d use any of these sweeteners, as I’ve tried them all and they all tasted pretty decent. Stevia – Stevia is a sweetener and sugar substitute extracted from the leaves of the plant species Stevia rebaudiana. It’s calorie free. Erythritol – This is a sugar alcohol produced by fermenting glucose with a yeast. It doesn’t affect blood sugar, has no calories, and doesn’t promote tooth decay. Truvia – Basically a combination of the above two with some natural flavors. 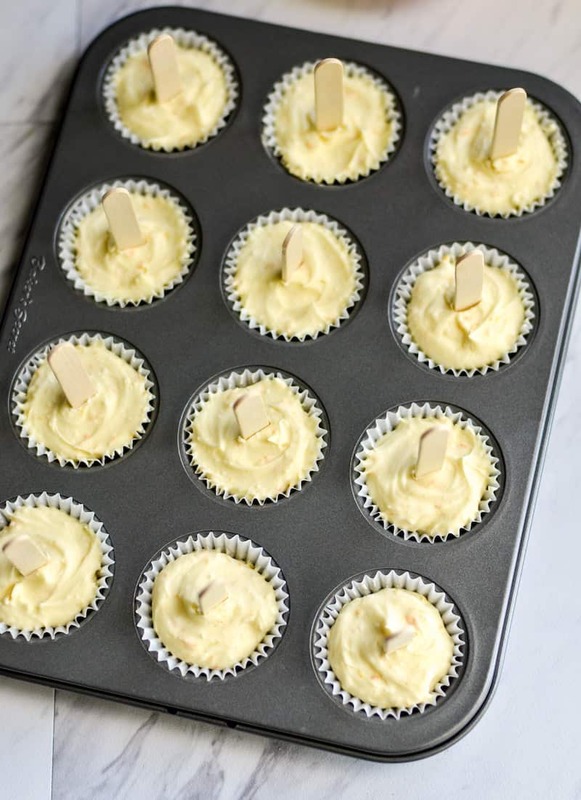 Use it in packet or spoonable form as the baking version has some additional sugars. 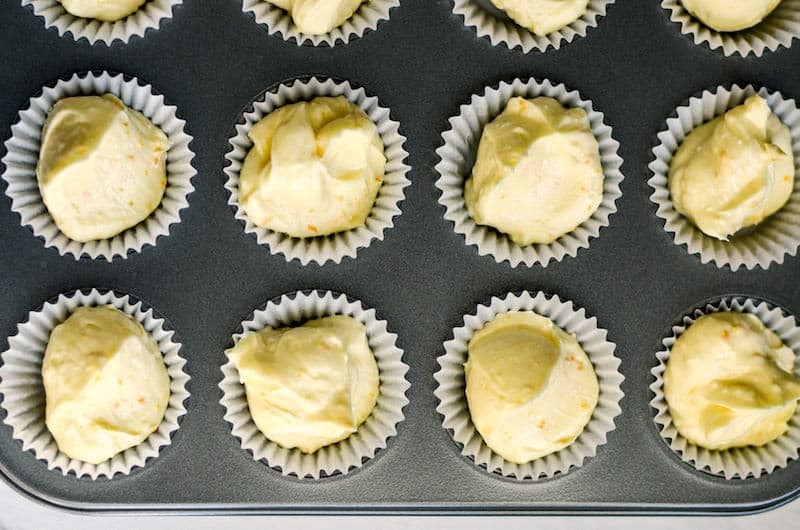 Are you ready to get the recipe for these orange cream cheese fat bombs? Get it below. 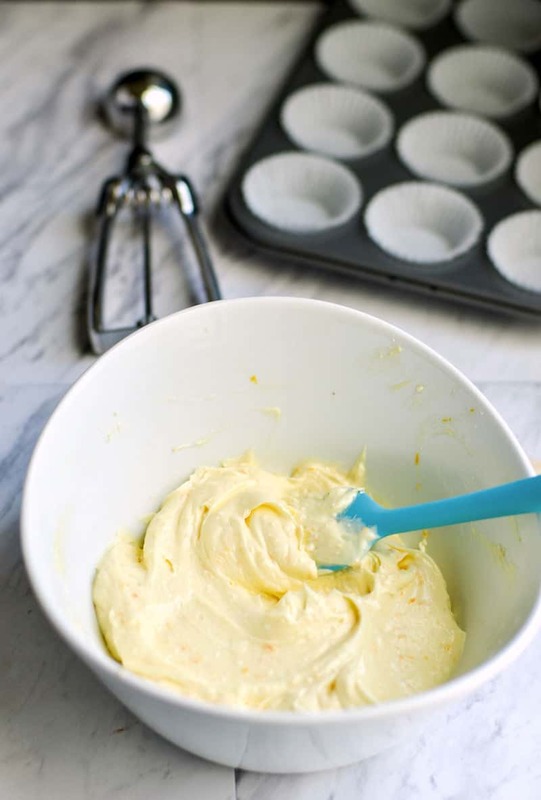 Using a hand mixer, blend all the ingredients for your orange fat bombs together till smooth. Spoon the fat bomb mixture into molds. Freeze for 10 minutes or unit the bombs just start setting. Stick in the popsicles sticks. Freeze until firm. Store cream cheese fat bomb leftovers in the freezer in a container or plastic bag. They’ll last for as long as it takes you to eat them. 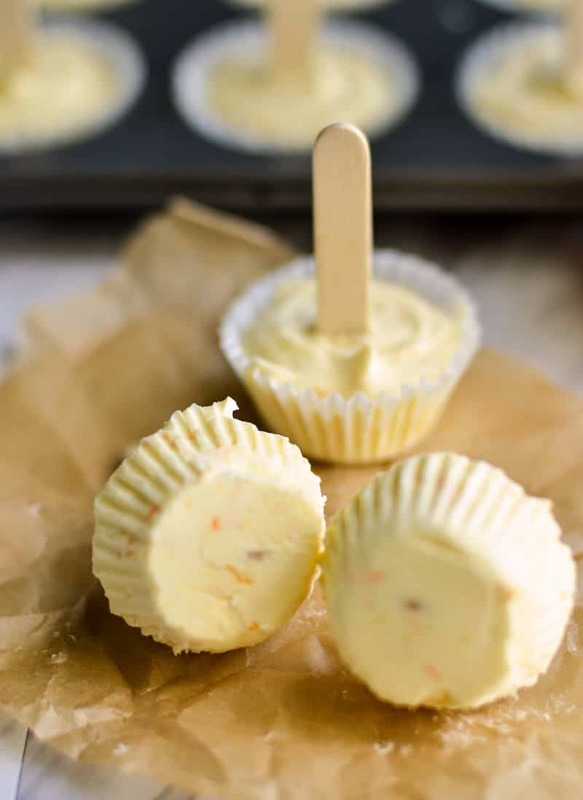 Let your orange fat bombs defrost for a few minutes before eating. 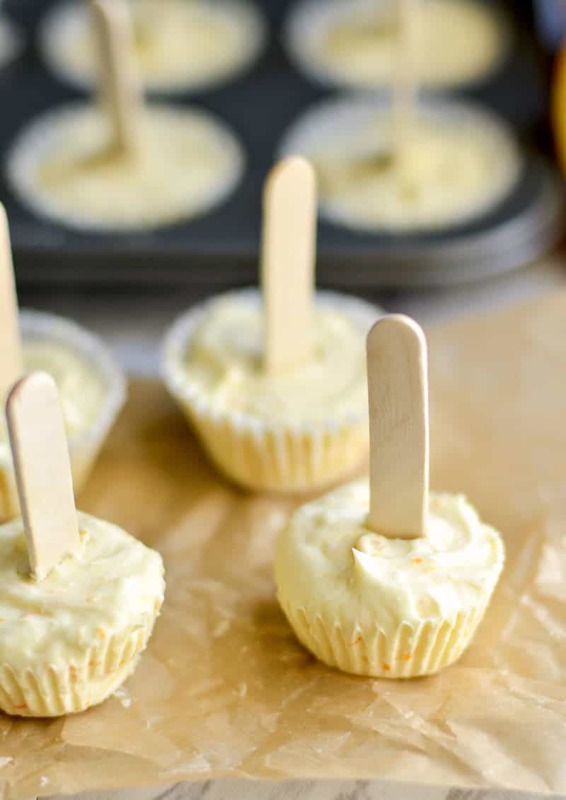 Make homemade fat bombs that taste like creamy orange cheesecake! 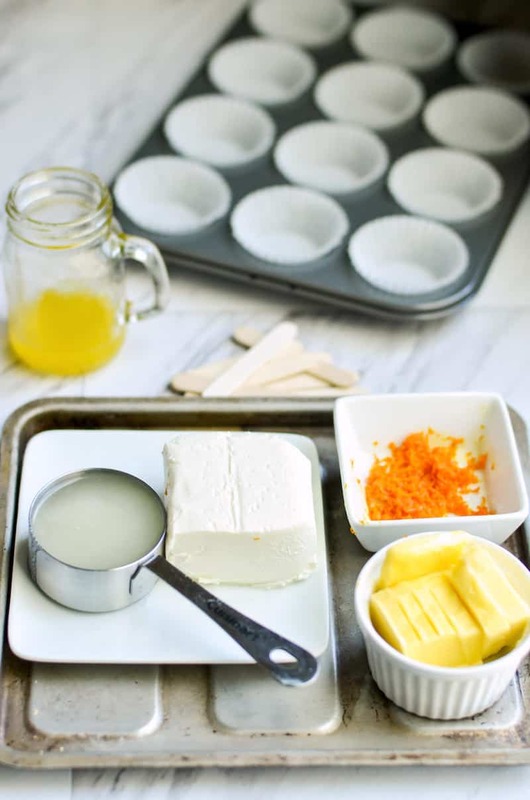 These orange fat bombs curb appetite, promote weight-loss, and are perfect for keto and paleo diets. Using a hand mixer, blend all the ingredients together till smooth. Spoon the mixture into molds. Freeze for 10 minutes or unit the bombs just start setting. Stick in the popsicles sticks. Freeze until firm. 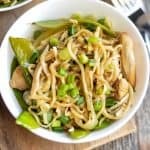 Store fat bomb leftovers in the freezer. Try this fat bomb recipe and let us know what you think in the comments!